Life begins at 40, right? You have perhaps had a few relationships under your belt, making you wiser and now you're ready to start meeting some new people. That is why we are bringing back the class and exciting feeling of dating face to face with our over 40 events. 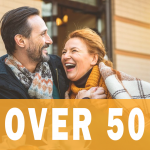 Our privately booked venues allow you to connect in peace at our over 40s singles events. With our strict criteria and tailored age ranges, we want you to find singles that share the same ambitions, desires and interests with you. With events held weekly in Sydney, Melbourne, Newcastle, Adelaide, Canberra, Hobart and Brisbane, Sunshine Coast & Gold Coast. Maybe you’ve been Speed Dating before. But it’s nothing like what we do. Our Over 40s Dating events take the awkwardness out and replace it with sheer excitement. 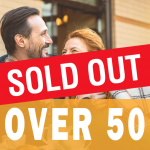 The dates feel cosy yet also genuine and you will forget you are at an Over 40s Speed Dating event. You get to go on ‘mini dates’ with everyone who attends. So if your eye catches a cutie, you will meet them. By keeping the numbers strict we can maintain quality guests. All you need to do is tick your date card and your details will be given to your match.